Barbequing has been around as long as the caveman have. The first people in the world quickly realized that food tasted better after being cooked on an open fire. In recent history, barbequing has become a family tradition. While the majority of families in the United States own a grill, only a few view grilling as a sport or hobby, rather than just another way to cook. The easiest grill to use is by far the natural gas grill. Natural gas grills are designed to hook directly into your home’s natural gas line, eliminating the need to provide the fuel source. This cuts out all trips to the grocery store for more charcoal or propane. Another advantage when using a natural gas grill is the ability to control the temperature in which you are cooking. Natural gas grills have burner controls which allow you to produce different temperatures for the different cooking areas on your grill. This allows you to cook your meat on one side while keeping your side dishes warm on the other. Natural gas grills, have the ability to come with many different types of cooking surfaces. These different cooking surfaces include a BBQ surface, a flat grill, and a ribbed grill. Some grills even offer these types of surfaces as non-stick, which allow you to cook a whole array of foods that you would not be able to cook on a grill otherwise. 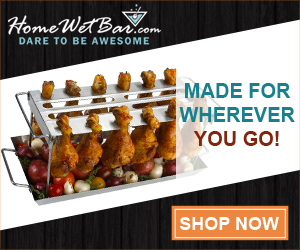 Some gas grills even contain a Wok type surface for cooking pasta and rice dishes, or a full rotisserie set that allows you to cook rotisserie chicken. Natural gas grills are by far the easiest type of grill to clean. With other grills such as charcoal and smoker grills, you have to remove the wood and charcoal briquettes each time. Natural gas grills only have to be wiped down. Some natural gas grills even have a non-stick feature. Grilling can be a fun or serious hobby depending on the person at hand. There is a certain level or patience and practice needed if you are wanting to achieve a higher level of grilling. For those that are especially interested in the sport of grilling, owning a Broilmaster gas grill may have certain benefits that other grills cannot provide. It is up to you as the shopper to become the most focused of buyers to try and resolve the discrepancies between various brand traits, and even within the Broilmaster array of products, allowing even for certain customizations to be utilized. There are many different kinds of grills within the multitude of options and features that you can get your grill to be able to handle many situations of immediate importance, and sometimes it can be overwhelming to wade through all of these options to the final product that will revise your take on one of the most unique ways to prepare food. You shouldn’t need to be the master of making meals even though that does help you adapt to any new grilling experiences. Making you accustomed to the particular state of grilling food. One of the most popular brands of natural gas grills is the Broilmaster. This company has been around for a long time and prides itself on creating great grills, even in its companies early years. If you are looking for a reliable name, Broilmaster would be the way to go. One of the most popular Broilmaster grills is the Super Premium Series, which puts out 40,000 BTU’s of cooking power, and has a cooking surface area of over 695 square inches.